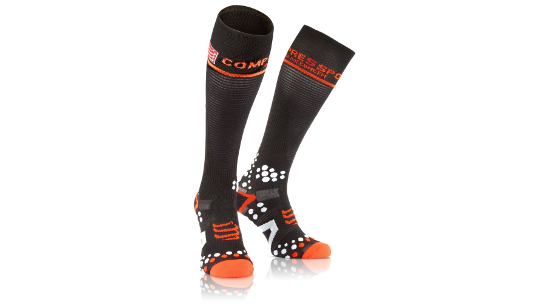 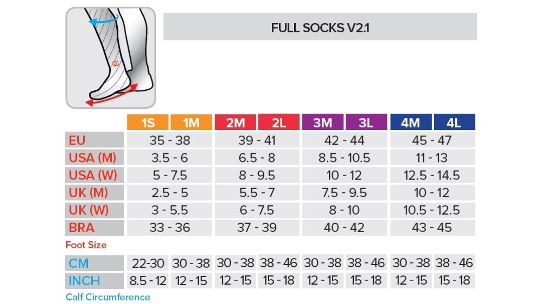 Launched in 2010, the Full Socks 3D.Dots by Compressport was a major success Worldwide hit as soon as they hit the market. 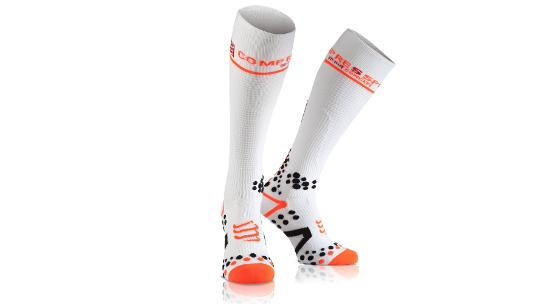 Years of research & development and cutting edge technology packed into a racing and recovery graduated compression sock, they have quickly become a must have foot accessory for any athlete. 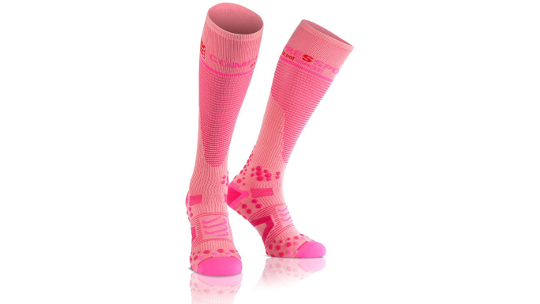 Worn and tested every week-end by pro athletes, age groupers, week end warriors, the Compressport Full Socks performs both during the effort and in recovery, its comfortable design optimising blood flow and stimulating venous return, also making it ideal for travel.